Press '6' for General Para. This will bring us to the General Parameter Setting screen. This screen lets user change the address setting of the controller. An address is a unique number assigned to the controller in a system to differentiate between controllers. 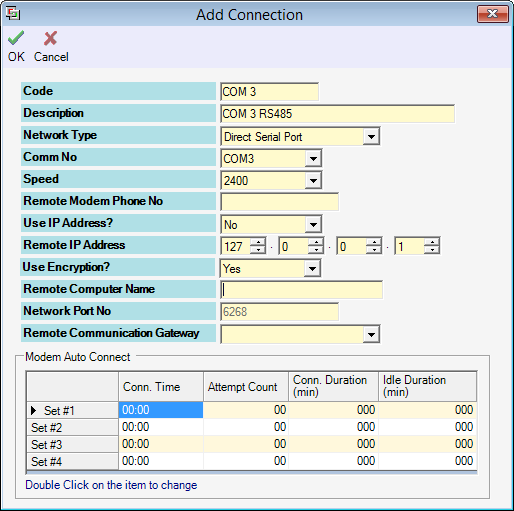 For system that uses direct RS232 connection, the address number must be set to 00. 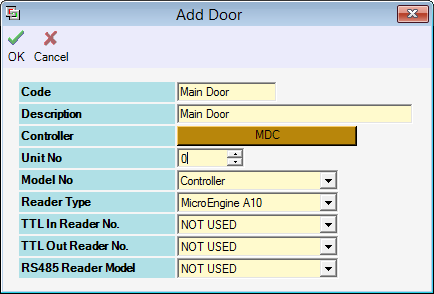 System that has MCI can set addresses starting from 00 up to 15, depends on the number of controllers connected to the system. Enter two digits value for the address setting and press '#' to confirm and proceed to next screen. Press '#' to confirm saving changes and return to System menu. Add new Connection. Server Admin › Connection Setup. Comm No similar to the MCI Comm Port detected from Device Manager. Please select the correct Baudrate/ Speed. Controller. Server Admin › System Device › Setup Controller. 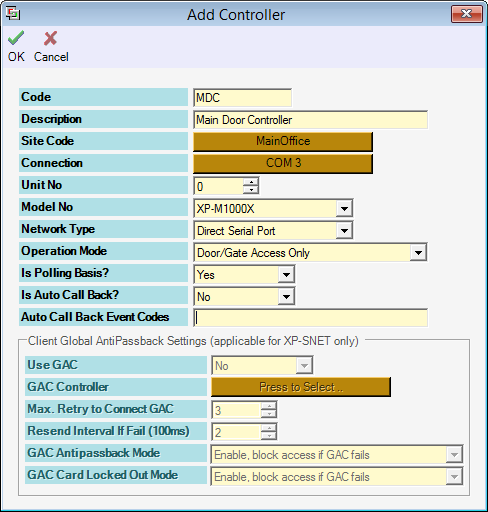 Select correct Connection, Unit No and Model No. Door. Server Admin › System Device › Setup Door. Unit No must be 0 as this is single-door controller. Once finished all configuration setup, the controller shall be "Up" and connected with the software. 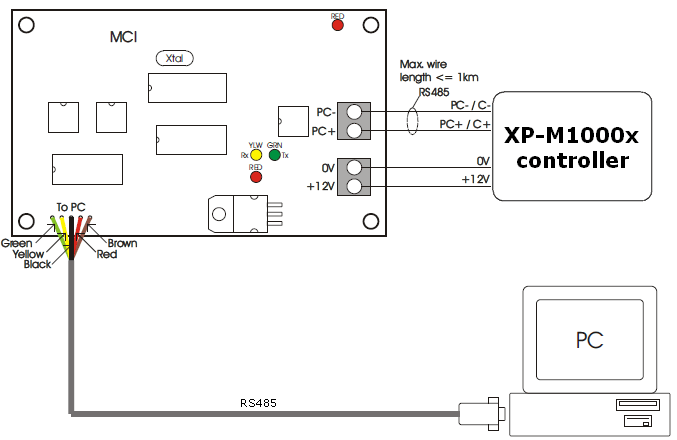 Summary: This article contains steps to connect XP-M1000x reader using RS485 connection. 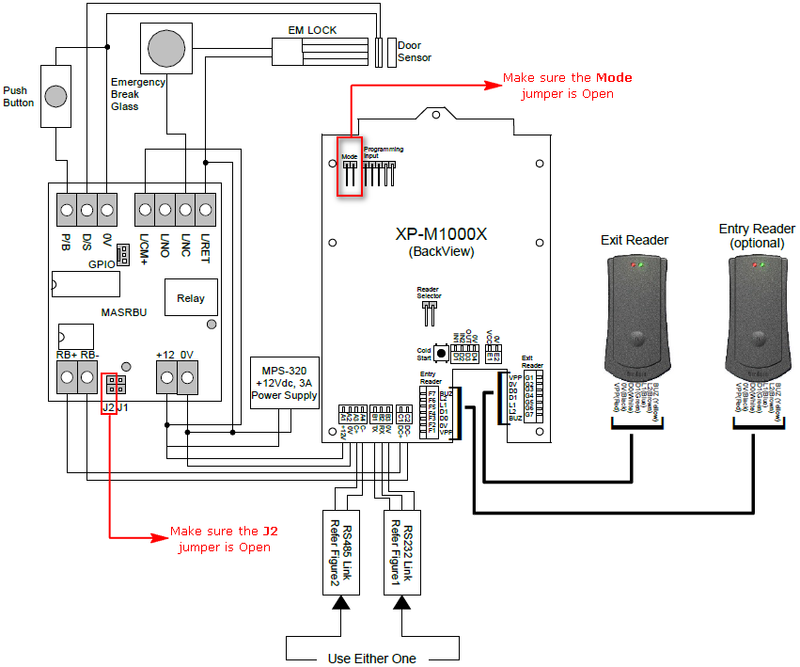 How to enter to XP-M1000x Programming Mode? How to setup Auto Lock Release Time Zone at xPortal software?